UNESCO said Thursday that it was informed by several sources that military action is intensifying within and around the Archaeological Site of Sabratha in Libya. 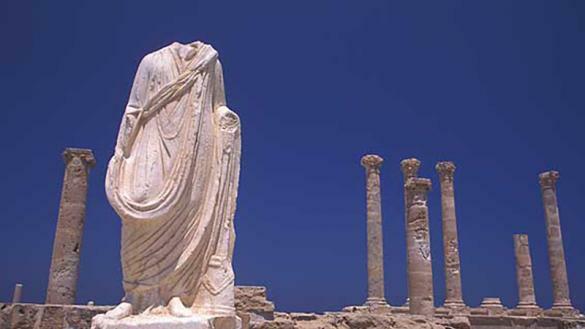 The Director-General of UNESCO, Irina Bokova, has called on all parties to cease violence and ensure the protection of Sabratha’s invaluable cultural heritage, including its archaeological museum. Bokova stressed in a statement on UNESCO's website that there is an urgent need to protect cultural heritage in times of conflict, as recently urged by the UN Security Council in its Resolution 2347. "I call on all parties to ensure the safeguarding of Sabratha’s unique cultural heritage. I appeal to all to refrain from any military use or targeting of cultural heritage sites and their immediate surroundings, in respect of the provisions of the Hague Convention of 1954 for the Protection of Cultural Property in the Event of Armed Conflict." Bokova indicated. She also described Libyan heritage as the expression of a shared memory of the country, and its protection represents a cornerstone for long lasting national reconciliation, resilience and peace. It must be kept out of conflicts. Bokova also reaffirmed that UNESCO remains committed to work with all Libyan cultural professionals to reinforce emergency measures for cultural heritage protection, and enable the rapid assessment, documentation and monitoring of heritage. "We will spare no efforts in supporting Libyans to protect their heritage, as a source of dignity and confidence for the future of all Libyans.” Bokova remarked.